Queued for the bread of heaven. 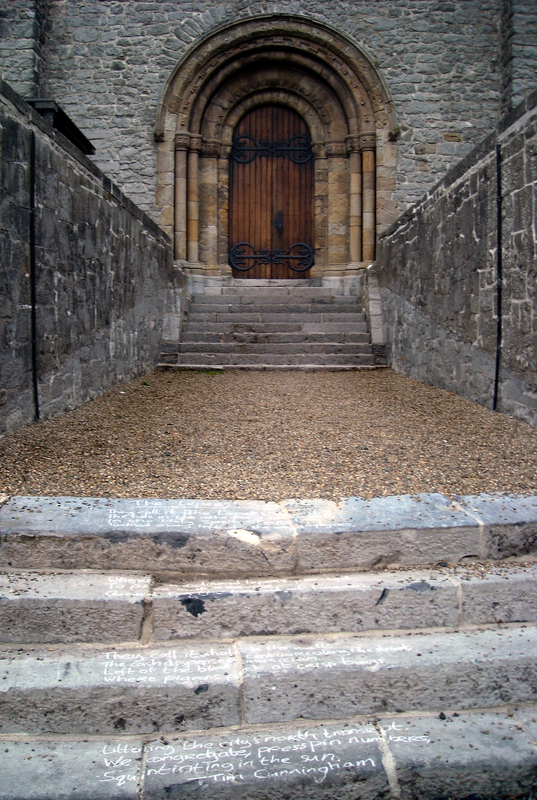 Littering the city’s north transept. 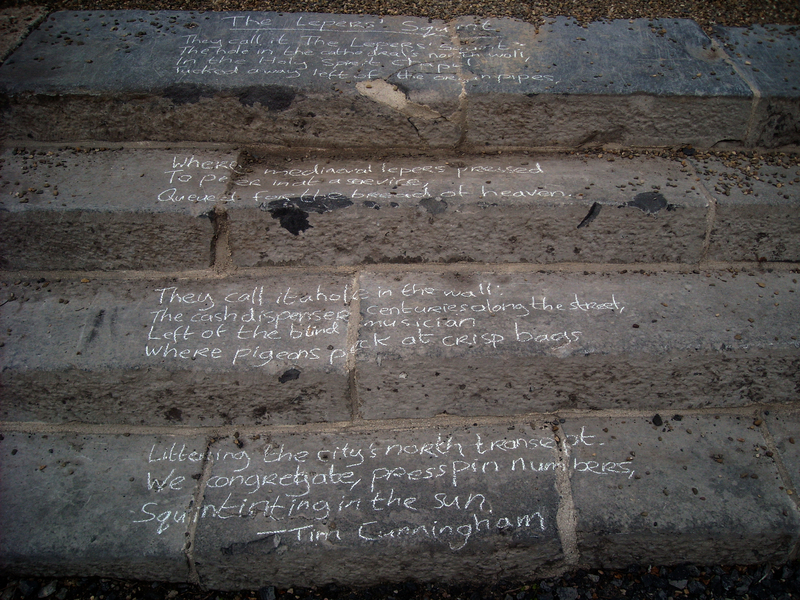 This entry was posted in Uncategorized and tagged Chalk, Limerick, place, poetry, Socially Engaged Art, St. Mary's Cathedral, street line critics, Tim Cunningham. Bookmark the permalink.